McCallum Bagpipes has added a new range of black Acetyl bagpipes to our selection of products. 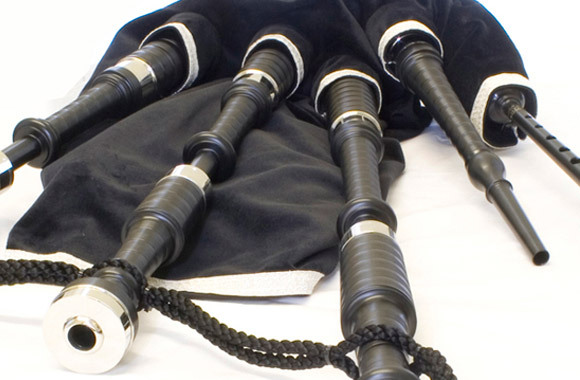 Highly durable and capable of withstanding exposure to extreme hot and cold temperatures, the black Acetyl is a great choice of bagpipe for punishing parades and the demands of learner pipers. The range is backed up with a no quibble 10 year guarantee and are very attractively priced. You can find out more about our black Acetyl bagpipe range in our new brochure available to view now. This video is also available on the McCallum Bagpipes YouTube channel. 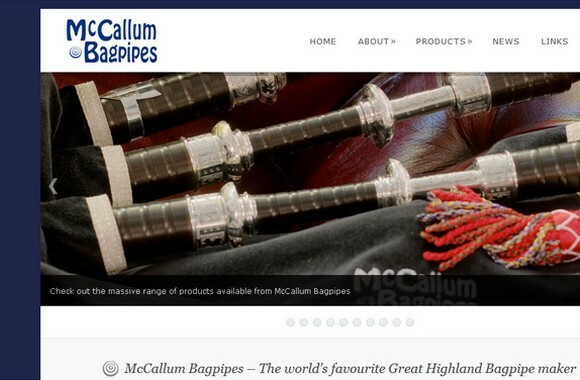 McCallum Bagpipes is delighted to announce the launch our brand new website, which went online on Wednesday 22nd June, 2011. The new design by Scott Currie Web Design coincides with the release of our updated product range. The website is now more interactive than ever and features our stunning new digital brochure by DesignFolk, as well as new high definition video footage by Paul Russell embedded throughout for you to enjoy. Visitors will have the opportunity to see more, hear more and learn more about McCallum Bagpipes than ever before. To accompany the new website, McCallum Bagpipes has expanded into social media, with new Facebook and Twitter accounts in addition to our new YouTube channel for you to follow. Make sure to subscribe to our new RSS feed and social media for instant notifications of news updates from the McCallum Bagpipes factory showroom.